A number of UK TV listings magazines out today have revealed some interesting information regarding the series finale. Below is a collection of SPOILERS from them - stop reading now if you are remaining spoiler~free. Listings magazines cited are: Radio Times, TV Times, TV & Satellite Guide, TV East and What's On TV. LAST WARNING - SPOILERS FOLLOW! 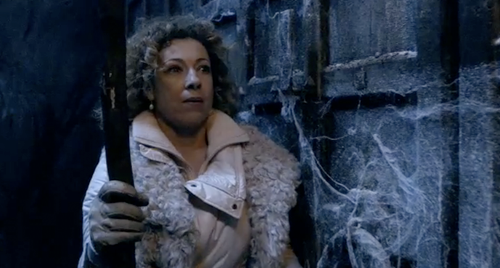 The Doctor takes Amy to the very first planet in existence where they find a message from River Song. 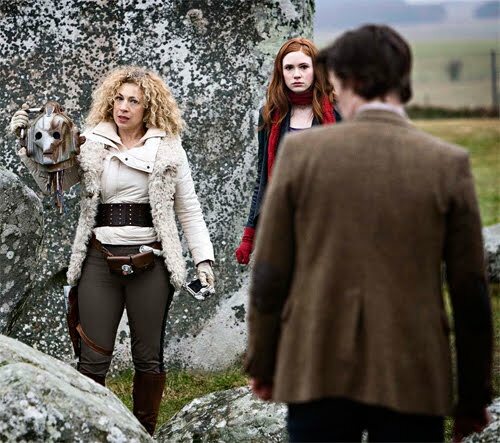 The couple find River Song is dressed as Cleopatra. A painting by Van Gogh, found in Winston Churchill's bunker, reveals something about The Doctor's fate, a "desperate message." It has been passed along by Churchill through River Song and Liz Ten - who all return in the finale. 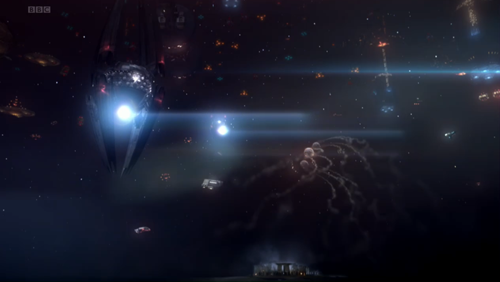 Dark forces gather at "under Henge"; returning monsters include: Daleks (the new kind), Cybermen, Sycorax, a Blowfish (originally from Torchwood), Weevils (originally from Torchwood), Autons, a Hoix, Sontarans, Judoon, a Kudlak (originally from The Sarah Jane Adventures) and Silurians (new series).